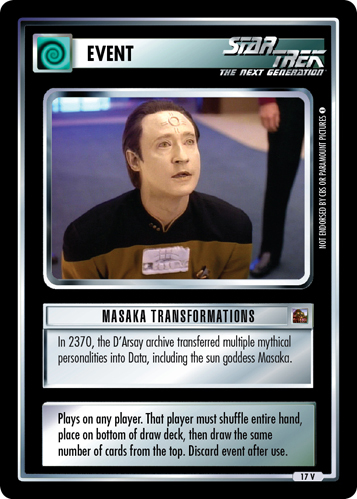 Masaka attempted to transform the U.S.S. Enterprise into an ancient temple and grounds by rearranging its matter. Plays on any player. That player must shuffle entire hand, place on bottom of draw deck, then draw the same number of cards from the top. Discard event after use.